Being none, V.P. ask Mary Lehmann to address the club. Mary has been absent for a while recovering from pneumonia. She is still short of breath so much so that her family wants her to return to St. Louis to be close to them. She explained she is a slow packer so it may be a few weeks before she departs from Columbia. Wil still in Columbia she is working on memorizing the 10 things she promises to do every time she attends an Optimist meeting. Jack Cruise had a birthday last Wednesday, Jan 4. Carl Scott has a birthday this Tuesday, Jan 10. VP Scott greeted all the luncheon attendee with a thank you card containing the Optimist Creed. Thanks the club members for all the work done selling Koeze Nuts and Christmas trees. He noted we are the only service club that has persisted in the annual sale of Christmas trees. Other clubs have tried it but they have found it too much work. Feb 3rd & 4th – E. MO Dist. Meeting in Rolla. Member wishing to attend should contact President Ed or Veep Carl. Hotel reservations need to be in by Jan 11. The Commemorative Plaques are in place for Red Leighton and Jim Beckett at Optimist Park – Carl Scott mentioned the Parks Department has already install he plaques in from of the two tree dedicated to Red Leighton and Jim Beckett. There was a rush to beat the winter weather. The club will organize a plaque ceremony at a future date TBA. New Member recruitment event – C. O. Scheffer reported the planning is ongoing for the Ground Hog Day, Feb 2. Recruitment event for young members. The younger member will invite guess for this event at Laser Lanes. Other members can invite younger prospective members as well. Carl Scott mentioned the club put together and presented 35 “Charlie Brown Trees” to patients at Women’s and Children’s Hospital. Larry Fick has assumed responsibility to coordinate the DOC volunteers at the Food Bank. Our time slot is Mondays after our luncheon from 1:30 for a few hours. There are various tasks of organizing and tagging food, handling and packing dry food and frozen foods. It’s a great experience to be a part of food distribution to families in the 13 surrounding counties who need food. Larry will bring registration forms to the next meeting, a requirement of all volunteers before going to work at the food bank. Those who haven’t pre-registered will have to spend a few minute at the food bank filling out this form before volunteering. NOTE: The Food Bank will be close Jan. 16 in honor of M.L. King Holiday. Larry Fick also mentioned the importance of the weekly sign-in sheet and the importance of including volunteer time next to your signature. High volunteer hours were achieved last quarter by Jack Cruise 40 hrs. Red Leighton 90 hrs., Jim Murphy 40 hrs., John Sapp 56 hrs. Carl Scott is in the process of figuring out a prize for the high hour volunteer. It won’t be a new bike but it will be significant. Bike Safety May 20th – Mary Dewey is still accepting volunteers for the Bike Safety Day. Carl Scott reported the New Year Day Event was a big success. Pat Kelley organized and put in a lot of work on this event. Sutu Forte entertained the crowd with some of her comedic piano repertoires. Essay Contest – The deadline for essay submissions in Feb 10/ Carl Scott and Mike Connors are working on this. See attached flyer. Oratorical Contest is coming up on March 4. Rick McKernan is coordinating this with Hallsville. Computer Giveaway is scheduled for Feb. 18 at the clubhouse. Volunteers are needed the day before and the day of this event. Contact Rick McKernan. Chile Cook-Off Max Miller gave advance notice to folks this annual event is coming up soon. Get your recipe ready now. He’ll announce the date soon. Club House Calendar Due to the number of events at the clubhouse member are encouraged to contact Jessica Kempf or Steve Winter to be sure your time is reserved for the clubhouse use. The new Clubhouse policy is on the website. Carl Scott introduced today’s Member Spotlight – Mary Dewey. As one of our newest members, she is a take charge person. She heads up the Bike Safety Committee and she recently submitted a grant application approved by the Board to fund sponsorship of 2 youth basketball teams at the Armory. This overall program serves 900 kids in the area close to the Central Business District of Columbia. Mary Dewey is the proud daughter of Thomas and Freda Martz who had a small farm in Boone County back in 1970, the year of her birth. True to their farm instincts and responsibilities, her dad had to finish milking the cows and her mother had to finish picking the beans when the alert came for Mary’s birth. Still, they managed to get her to Boone Hospital in time for a hospital birth at 8:23 am on May 29 of that year. The family lived in Ashland until the moved to a 3½ acre farm on St. Charles Rd. in Columbia when Mary was 1 year old. Early childhood experiences included raising dairy cattle, rabbits and steers as a 4H project. Mary attended Two Mile Prairie elementary School. She later attended Jefferson Junior High where she joined student clubs and help with the basketball team. By 9th grade she was in the school play as well as helping with the basketball and volleyball teams. She finished her secondary schooling at Hickman H.S. where she was in the spring and fall musicals in addition to her work with the sports teams. Despite receiving a Dyslexia diagnosis a month before high school graduation and told she would never success at higher education, she attended Central Missouri State University in Warrensburg where she majored in General Recreation with a Couching minor. She was active in PEM CLUB (Physical Education Club), Recreation Club and Service Club for Disabled Students on Campus. She continued her sport involvement by assisting the basketball team including their road games. During her spare time, she helped out with the Concessions. In her senior year she coached youth basketball for the Warrensburg Park and Recreation Department. Mary graduate with a BS Degree in 1994. After graduation, Mary returned to Columbia working several part time jobs related to sports. In 1995 she began work with the Columbia Parks and Recreation Dept. in various positions. She is working in the Community Recreation Department with additional responsibilities in the Spooky Halloween Event, face painting events and bike safety. She also continues at 10 year stretch officiating for Mizzou Volleyball. This year she’s involved with several events including the Bike Safety Rodeo at Lange Middle School on May 20, Easter Egg Hunts at Douglas Park and Indian Hills in April. 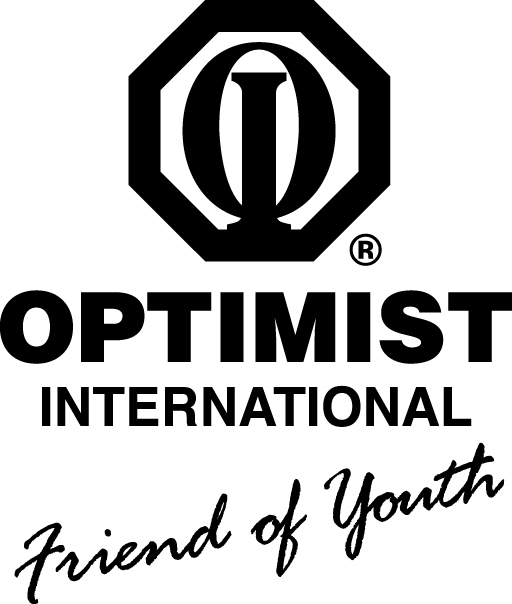 This provides a great opportunity for volunteer work for Downtown Optimist members. Mary follows in the involvement her parent had with the Downtown Optimist. Her dad died 5 years ago but her mother still lives in Columbia, retired from Boone County Bank. Mary met her husband of 10 years, Robert, through work connections. They live in Millersburg and love outdoor fishing in their spare time.